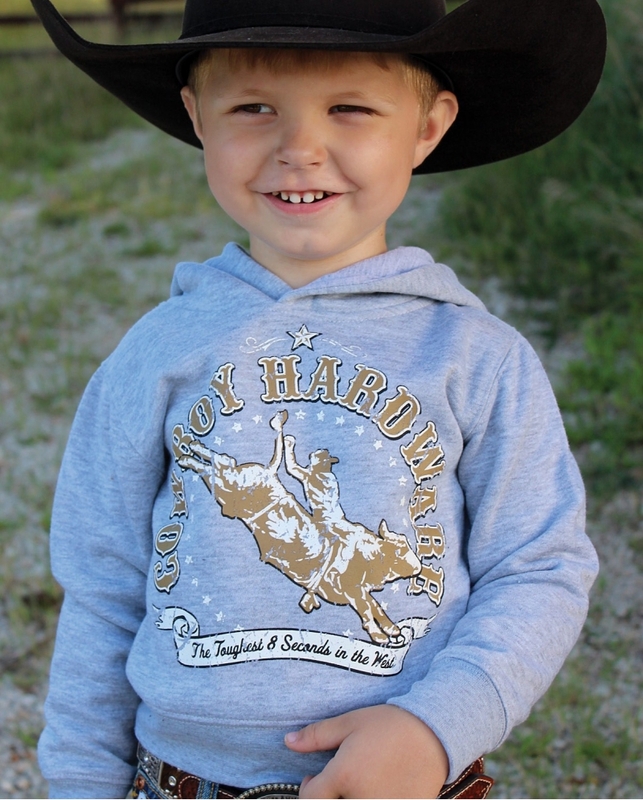 This boy's long sleeve "Toughest 8 Seconds" pullover is extremely comfortable. This design comes as a full front print only. This hooded sweatshirt is made for the true Tough Bullrider and features a kangaroo pocket. 60% Cotton/40% Polyester. Imported.